Get the African violet Bible for Free and Learn How to Make your Avs Bloom 365 days a year! You visit a friend or a garden center and notice beautifully growing Saintpaulias. You’re thrilled and decide to buy some for yourself. Or maybe they were sent to you as gifts or you inherited them from a close relative. Or you deliberately propagated them and now have a bunch of African violet plants. You really enjoy watching them grow and flower. It’s a great feeling. Until one day, you notice that your African violet looks miserable! The new leaves under the flower's crown seems to dry or they’ve started losing their colour and turning brown. The once lovely purple blooms are looking droopy and withering fast – and it looks bad. Is there any way to save the plants at this point? You know that you have to do something about it. So you result to googling and visiting gardening forums for the much needed advice and encouragement. Sure, you get some suggestions. Some help you save some plants but for the rest, death is inevitable. For those that survive, you wonder whether there are any tips to encourage them into flowering. And it becomes a dreaded vicious cycle before you decide to quit altogether. How could you know what is happening? You’ve done everything right, you’ve followed all the advice you could get but still these darn little plants are so temperamental. Don’t get held back again with our gardening passion. 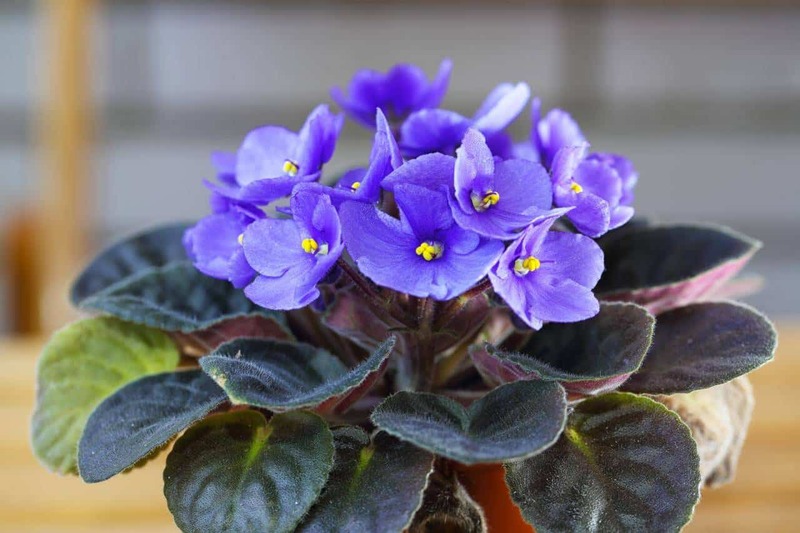 And more so, your love for the most popular indoor plant in the world – the African violet. Finally! An African violet book that is in-depth enough to help you keep your indoor plants in top shape. Are you a beginner and looking for the basics of growing amazing indoor saintpaulias? Or you’re an advanced African violet enthusiast looking for ways to take your game to the next level? Then you need to get a copy of The African violet Bible. This book is not only packed with practical information, but plenty of photos and illustrations to help you understand important concepts. I understand that a picture is worth a 1,000 words. You’ll find plenty of them in this book. I’ve seen books full of fluff cost up to $29.99 a copy. 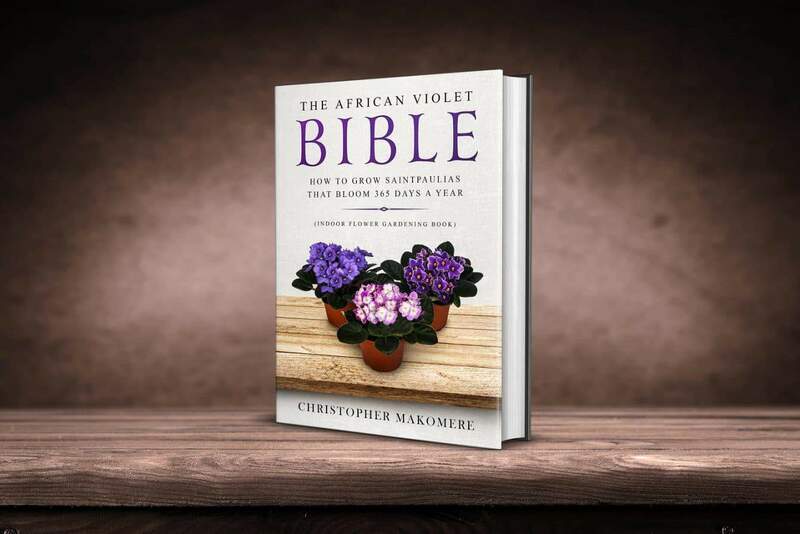 With the kind of research I’ve done and the value you’ll get in this African violet Bible, I could comfortably price the book at $39.99 and you’ll still thank me for it. But that’s not what I’m going to do. When this book goes live, it will only cost $24.99 for a printed copy and $9.99 for a digital copy. However, I’m doing something even better. It’s my desire that this book reach as many of you as possible. For this reason, I’m offering you an opportunity to receive a FREE copy on the launch date. Think of it as a thank you for being among the first readers to read my book.